Lying 9 miles due south of Mount Desert Island is 220 acre Great Duck Island. The island got its name from the thousands of ducks which visited the island each year to lay eggs and raise its young. 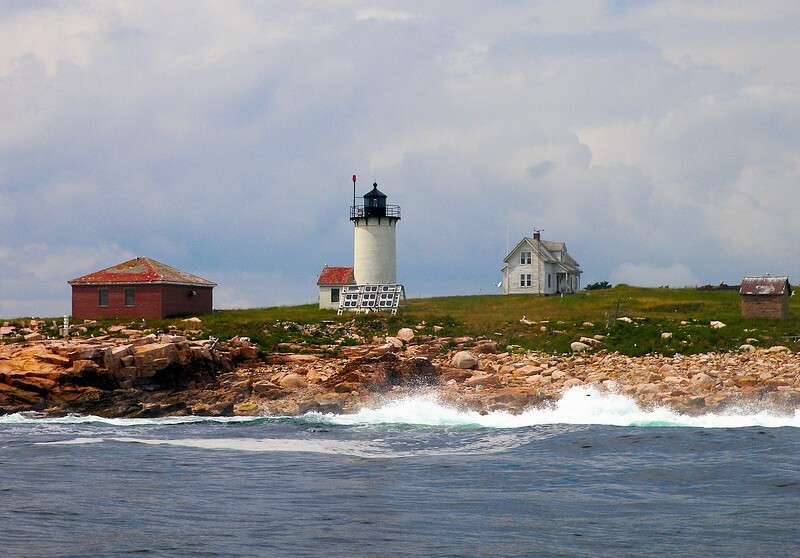 In the mid-1800’s mariners requested a lighthouse and fog signal on the island to mark the approaches to Bass Harbor and Southwest Harbor and prevent wrecks on local reefs. In the 1880’s the Lighthouse Board requested $10,000 to build a lighthouse station on Great Duck Island. In 1888 the request was increased to $30,000, which Congress appropriated in 1889. Title was secured to an 11 acre plot on the southern tip of the island and construction began in May 1890.